The new Citroën C3 Aircross is on its way and available for you to view in Wilmoths' showrooms from now! There will be an official launch event which all of our customers are invited to from 3rd - 5th November too. This distinctive SUV with its unique 85 colour combinations can be individually styled to suit your personality. The roof bars add to the touches of colour provided by the coloured door mirrors, headlamp surrounds and wheel centre caps, whilst the rear quaterlights have a shutter effect with a coloured layer in the centre and create a strong contrast which gives a very dramatic look to the vehicle. The capacity of the C3 Aircross is second to none in the SUV range. It has five large wide seats with generous leg and head room and the largest boot in the segment with a capacity of 410 litres, which can be increased to 520 litres thanks to the split rear sliding seats. The boot is easily accessible via the large opening tailgate and benefits from a low loading sill. Total load volume with the rear seats folded down is an impressive 1,289 litres. There is also a removable luggage shelf that can be stored in a vertical position behind the rear bench for transporting tall objects. As an option, the front passenger sea can be folded to increase the load length to 2.4 metres. A further ingenious touch is the dual-height mobile boot floor which provides a flat floor when the rear seats are folded down. There are numerous additional features including the raised clearance, a wide range of wheel designs and Grip Control with Hill Descent Assist, so the vehicle can take on all types of terrain. The wheel arches have extended wings and self-coloured lower sill panels for protection from minor impacts. The reversing camera provides a 180° rear view of the area behind the vehicle on the 7" touch screen. The cabin can also be customised with a choice of five distinctive interior ambiances; standard, Metropolitan Grey, Urban Red, Hype Mistral and Hype Colorado, each one with its own distinctive features. 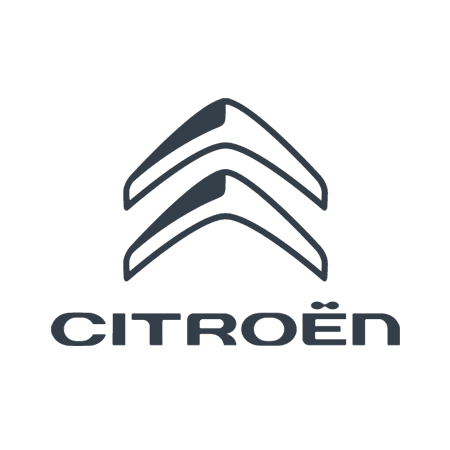 When combined with the usual suspension comfort, with classic Citroën settings for all driving conditions and the meticulous soundproofing and acoustics, every drive is an enjoyable one. The driver can see key driving information continuously without taking their eyes off the road by using the head-up display where information is displayed in colour on a retractable panel in the driver's line of vision. The central console features a dedicated storage compartment for wireless smartphone charging. Compatible smartphone apps are also accessible from the 7" touch screen through the Mirror Screen function, with Apple CarPlay and Android Auto. This striking SUV could be exactly what you've been waiting for. Come and take a look inside and out and test-drive at your local Wilmoths today. Give us a call to find out more about our launch event too.